SecurityPlus for MDaemon complements and extends the built-in security features of the MDaemon Mail Server, providing a shield to stop security trouble before it starts. By combining multiple powerful security safeguards, it blocks virtually all known dangers and prevents infestation by newly released threats. 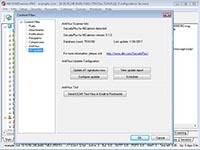 It automatically downloads and installs updates for hands-off administration. SecurityPlus is available in multiple languages and proactively protects email users against viruses, spam, phishing attacks, spyware, and other types of unwanted and harmful email. SecurityPlus scans messages inline during each SMTP session, effectively stopping malicious software at the email entrance to your network. 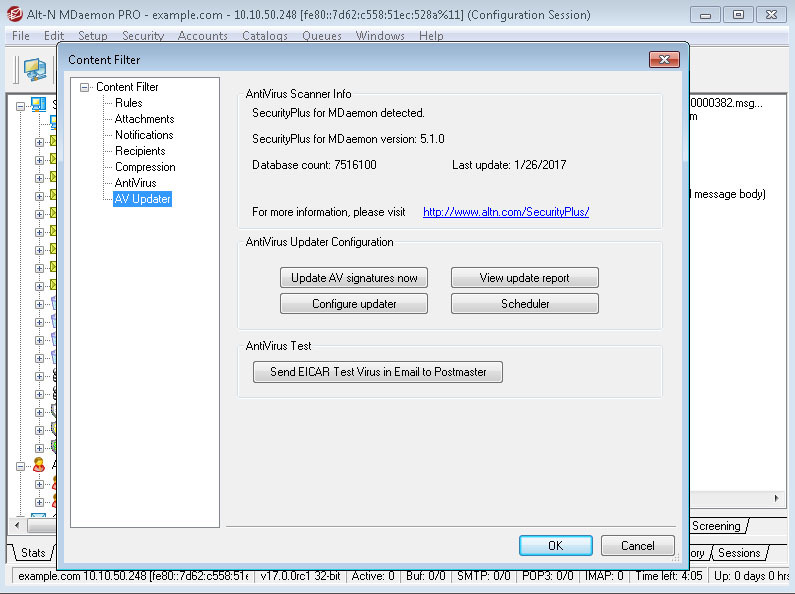 When a corrupted message with a security threat is detected, SecurityPlus refuses to accept the email and any attachments. Real-time pattern analysis provides much faster protection than traditional filter and signature based solutions that require detecting, defining, and disseminating new virus information. Outbreak Protection requires no heuristic rules, content filtering, or signature updates. Includes Real-time, antispam, zero-hour antivirus, anti-spyware, and antiphishing technology. 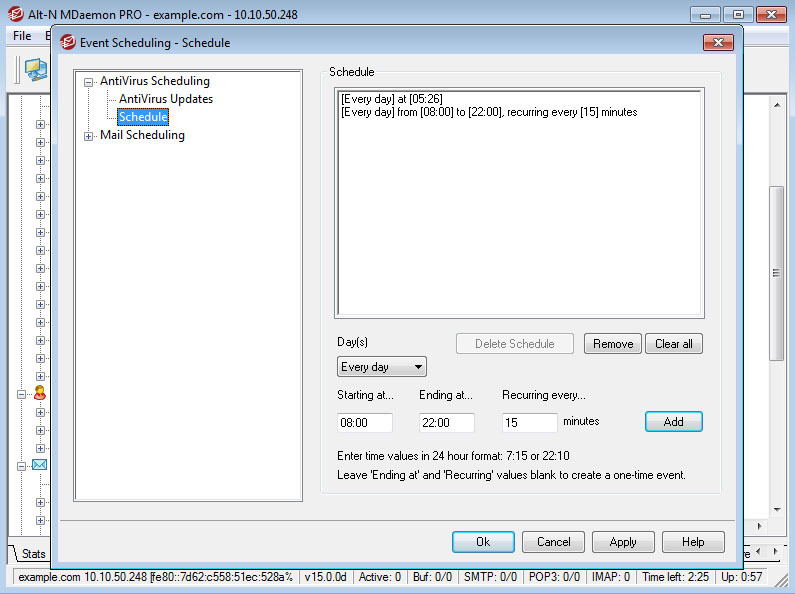 SecurityPlus for MDaemon includes an administrative log that keeps track of the type, time, and location of detected viruses.